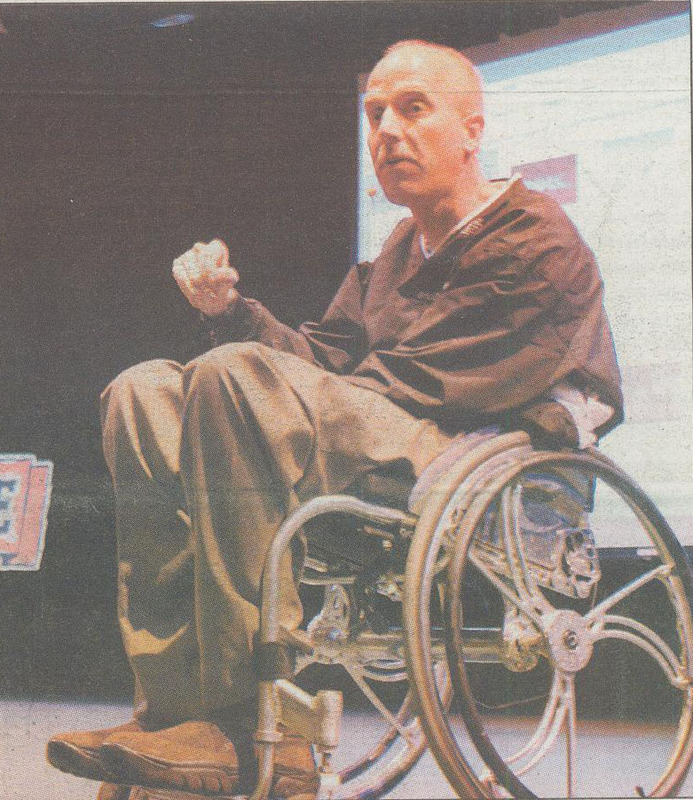 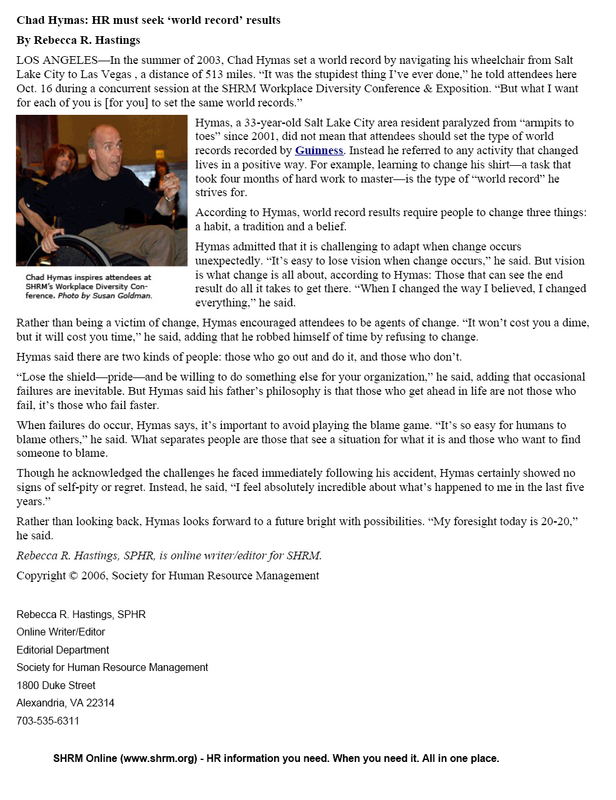 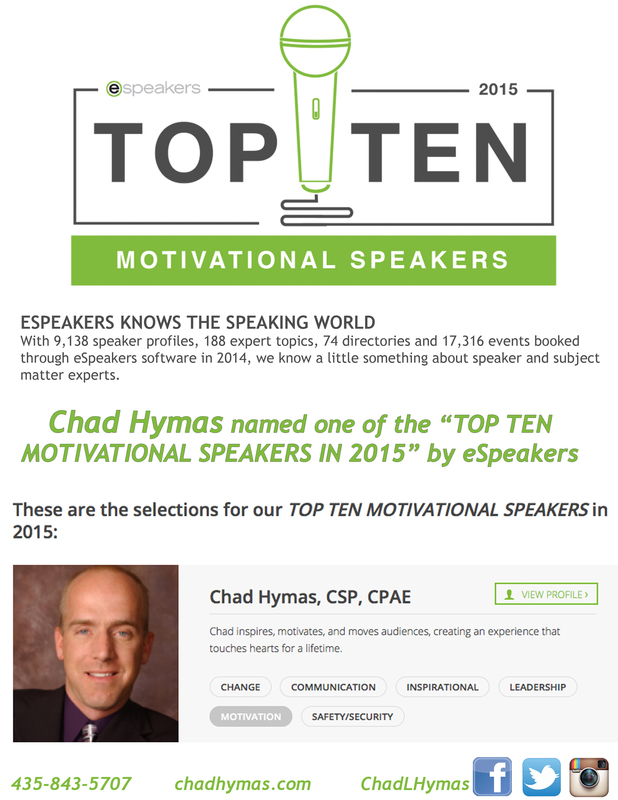 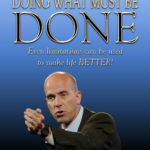 Chad named “One Of the Top Ten Motivational Speakers” by eSpeakers. 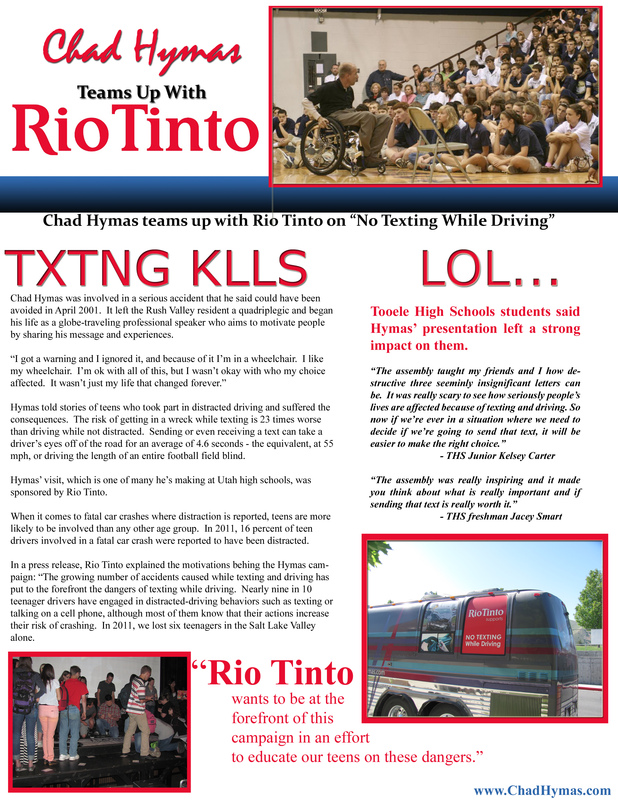 Chad’s “No Texting While Driving” tour. 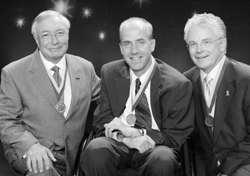 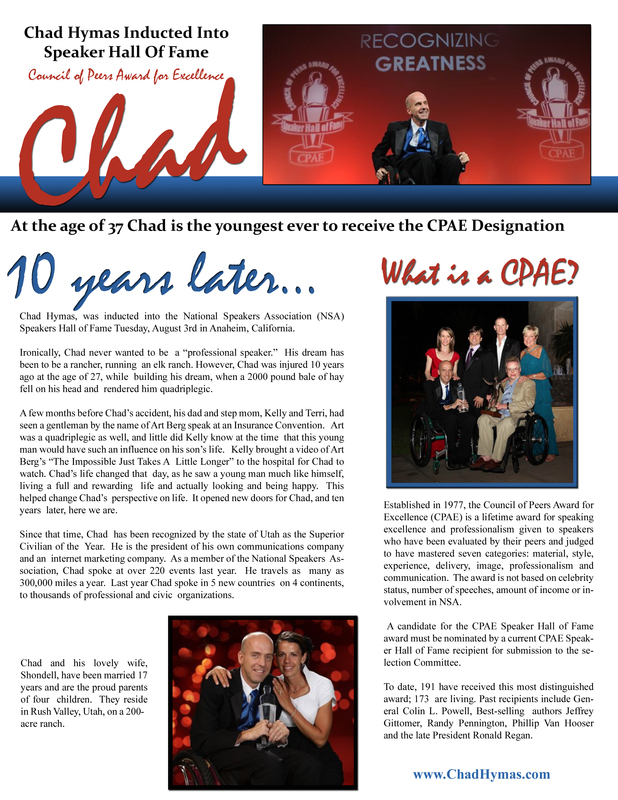 Chad inducted into The Speaker Hall Of Fame. 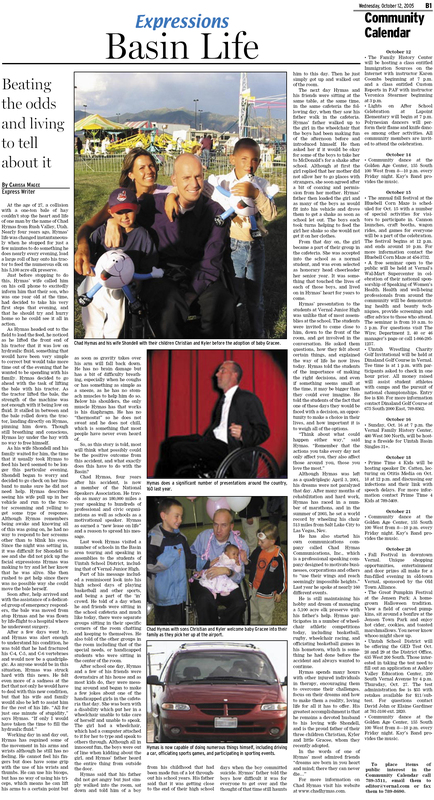 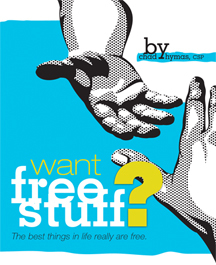 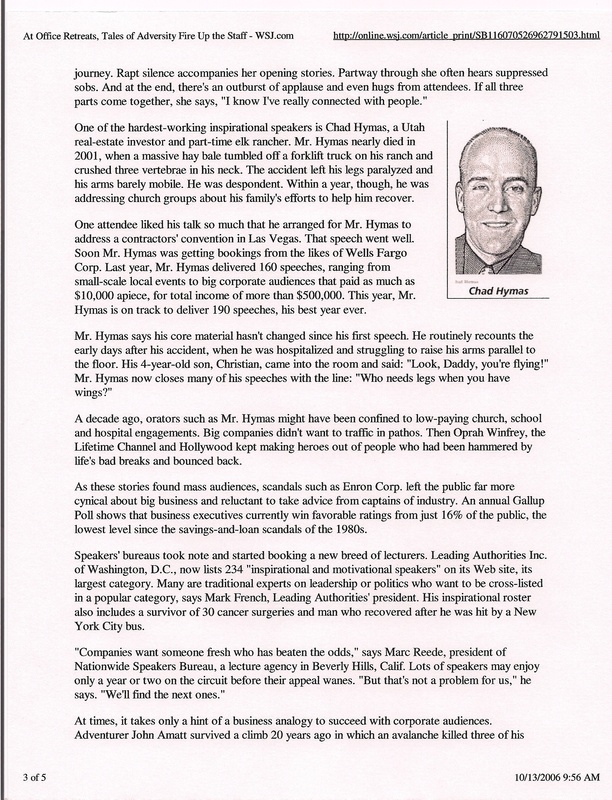 Chad writes an article for NSA magazine. 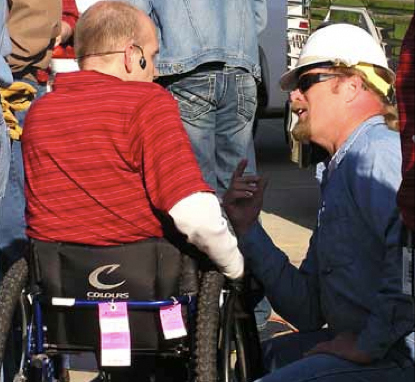 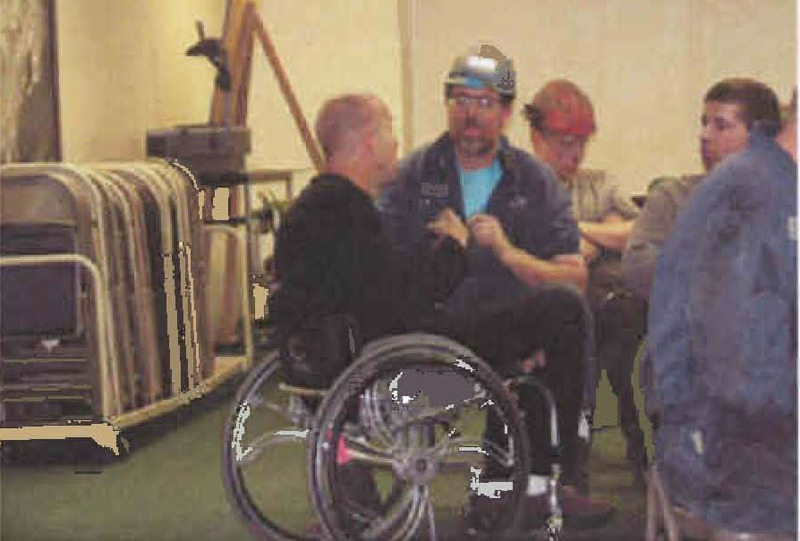 Chad is featured in Sukut Construction’s May Newsletter after spending time with their group. 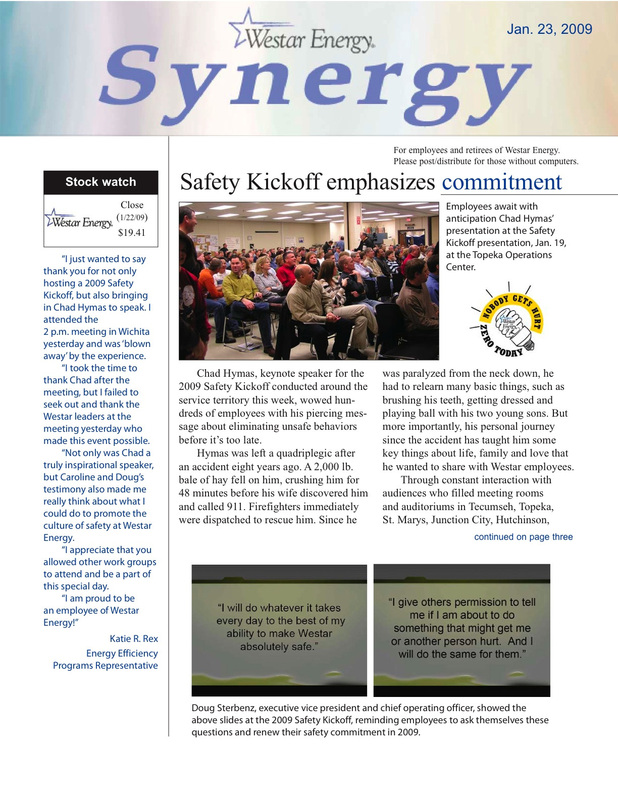 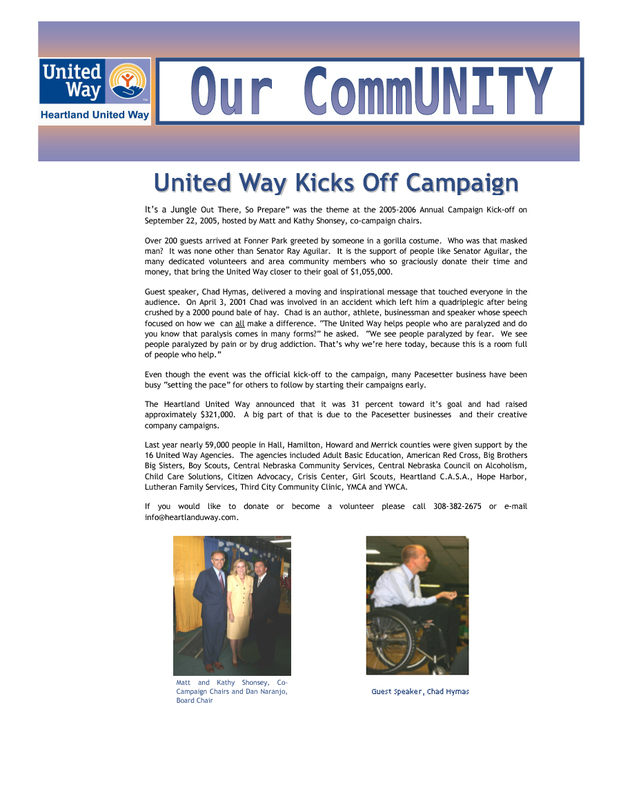 Great Newsletter all about Chad’s bus tour in Kansas sponsored by Westar. 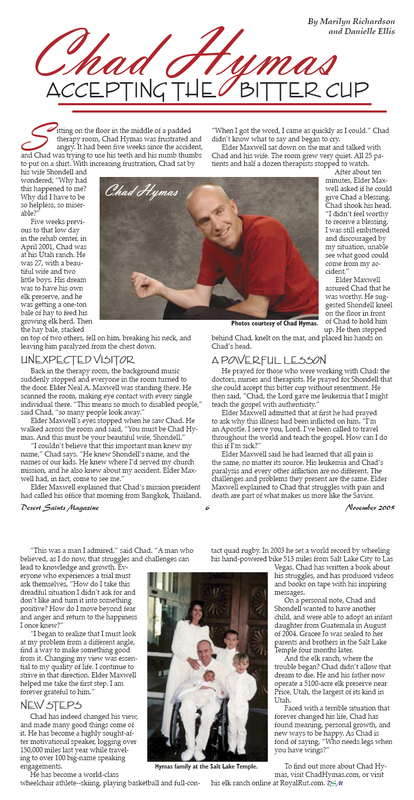 Chad is featured in Barrick’s Courageous News Newsletter after his two week visit to Australia enforcing courageous leadership. 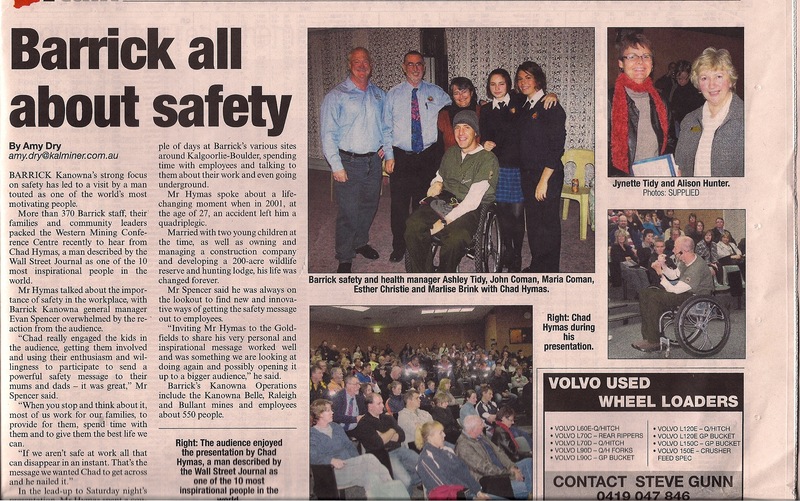 Chad is featured on the front page of the Kalgoorlie Miner newspaper after his two week visit to several Barrick locations in Australia. 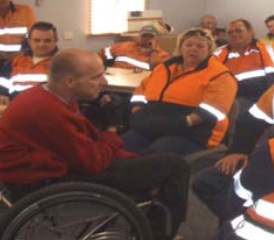 Chad visits Yilgarn South Barrick sites in Australia. 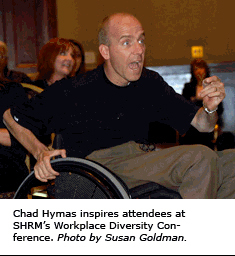 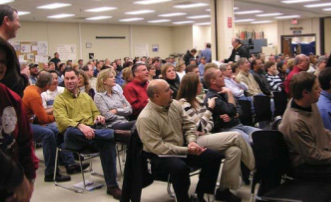 The GM states how fortunate he was to attend Chad’s presentation. 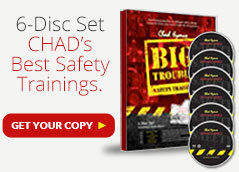 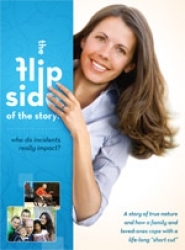 Chad returns to another North Shore operation to share his inspirational safety message in a desperate time of need. 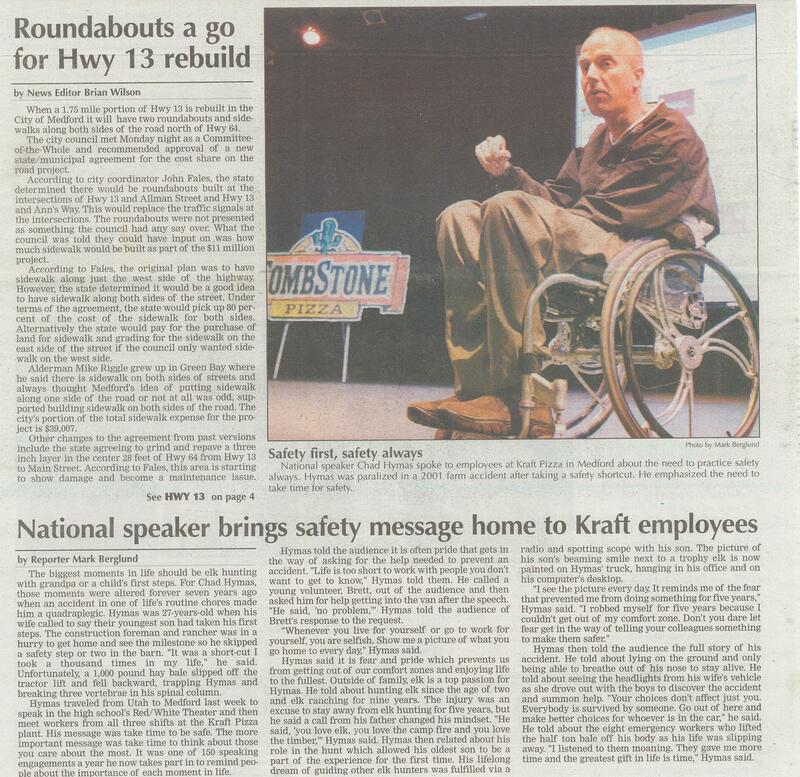 Chad speaks for Kraft Pizza Company in Medford WI. 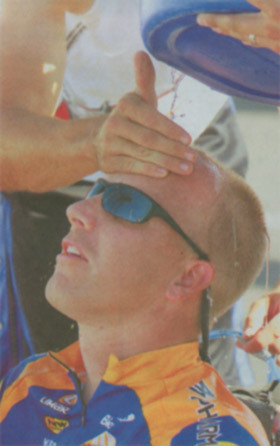 Chad Hymas receives the CSP. 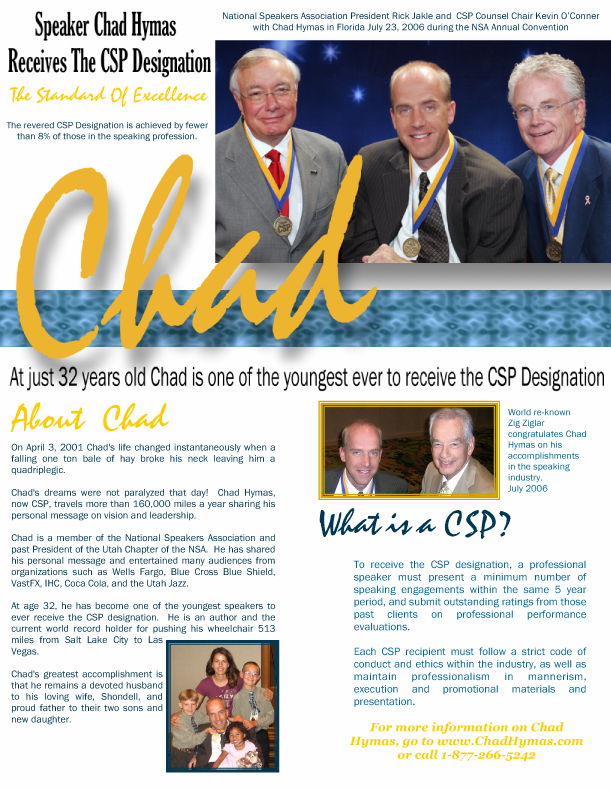 He is amongst the youngest to ever receive this designation! 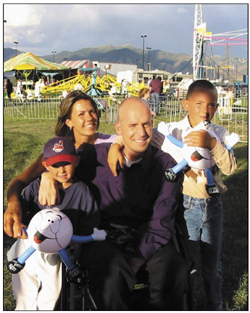 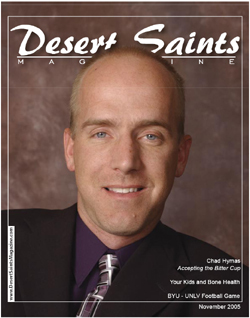 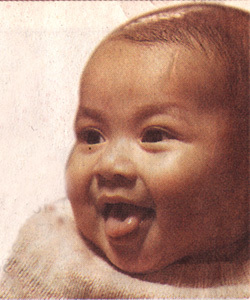 Chad on the cover of Desert Saints Magazine. 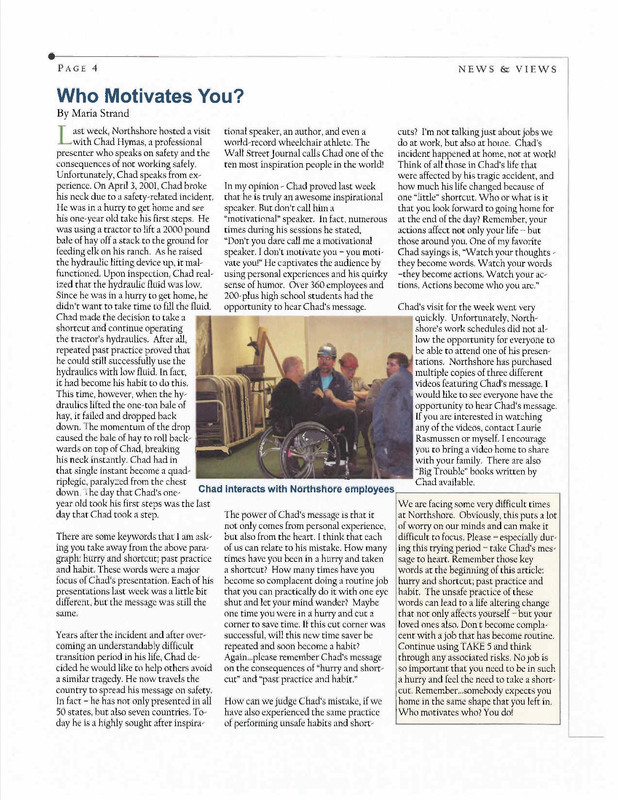 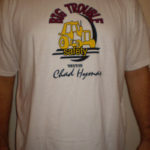 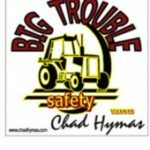 See Chad’s article in the November issue. 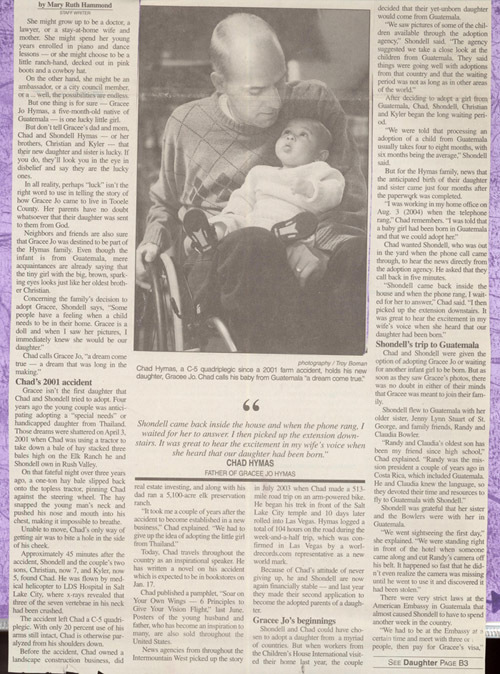 Chad, Shondell and family are happy to announce the arrival of baby Gracee Jo from Guatamala. 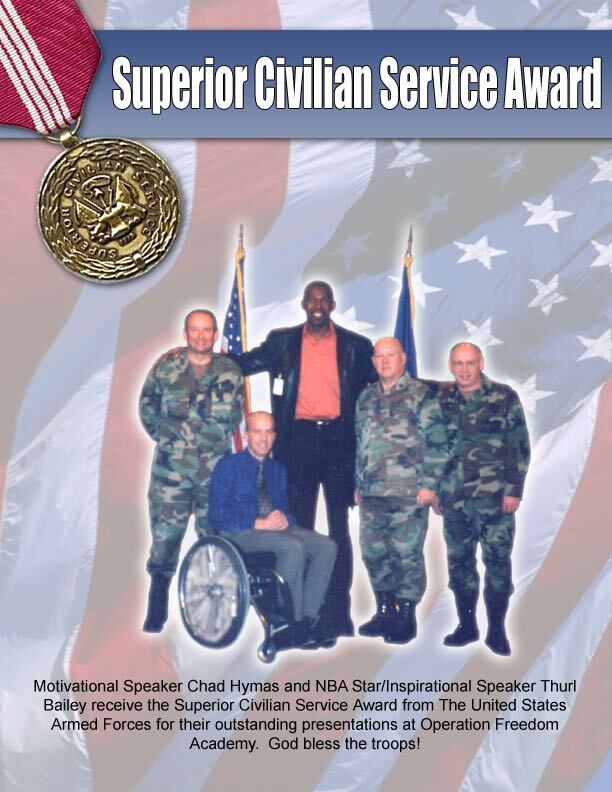 Motivational Speaker Chad Hymas and NBA Star/Inspirational Speaker Thurl Bailey receive the Superior Civilian Service Award from The United States Armed Forces for their outstanding presentations at Operation Freedom Academy. 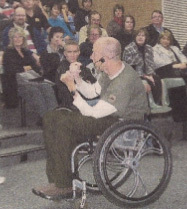 God bless the troops! 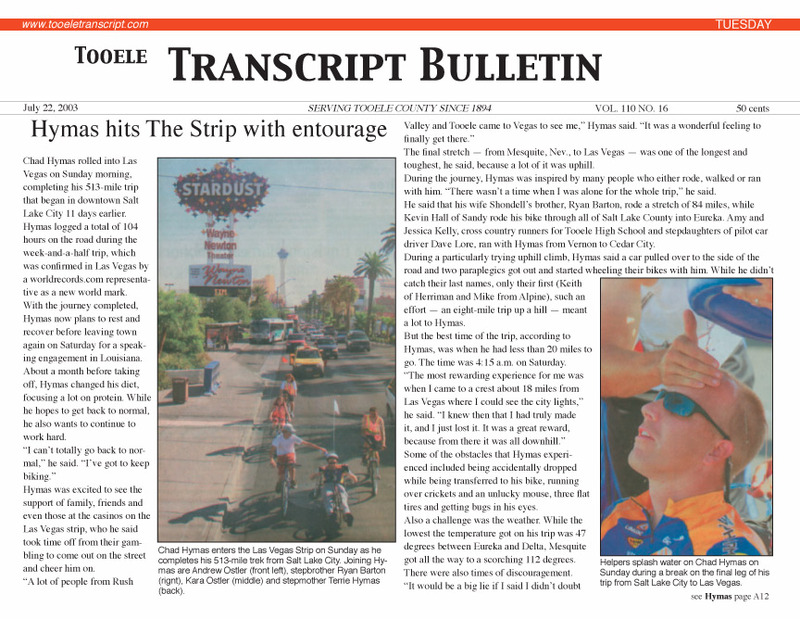 Chad Hymas sets world record in mega marathon of 513 miles from Salt Lake City to Las Vegas.